Home interior trends are a lot like fashion trends: colors, patterns, materials, and fabrics seem to go in and out of style. So what’s on trend for this year? We’ve come up with a list of the hottest trends that are sweeping the North Hollywood area this year, according to industry experts. 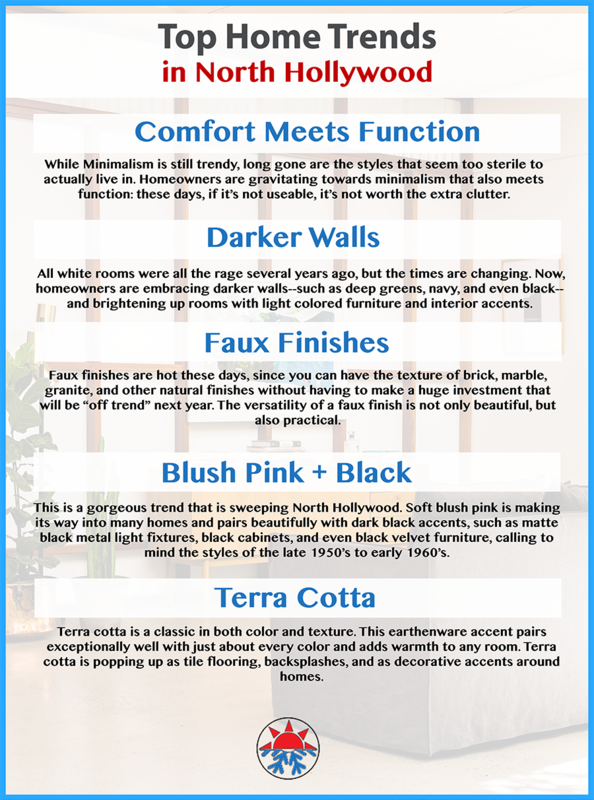 Check out these hot trends that you can implement in your home this year so that you can enjoy your living space in style. Looking for Home Comfort Solutions? There’s more to creating a comfortable home environment than just a stylish interior. Your home heating and cooling system play a significant role in making sure your home is comfortable and the air inside your home is healthy. If your HVAC system is old and outdated or doesn’t run as smoothly as it used to, it may be time to look for a new home comfort solution.